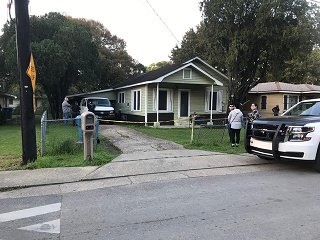 A Lafayette man is dead following a shooting on Edison St. this afternoon. Officers responded to the 400 block of Edison St. at approximately 3:00 pm in reference to shots fired inside a residence. Upon arrival one male victim was located deceased suffering from a gunshot wound. The circumstances surrounding the incident is still being investigated. No arrest made at this time but witnesses are currently being interviewed.